The power of the press and public opinion can help the Parliamentary committees to do a great job. You see ethics is heavy word. Its meaning and significance can’t be explained in simple journalistic style. In philosophy, in the west, ethics is treated as a branch of moral philosophy. Only those who have studied philosophy as an academic course would know that ethics has a long history. In my time at Oxford in the late 1960s we studied G.E.Moore’s Principia Ethica, a heavily loaded treat. What is good? So you must know that when the recent ‘Ethics’ Committee in the Rajya Sabha met under the chairmanship of Dr. Karan Singh, a learned MP, it raised eyebrows. Why? In a typical politician’s style Singh dodged all queries, he said that the Ethics Panel would meet and discuss whether one member, the distinguished Dr. Vijay Mallya’s exit from India on the eve of his alleged evasion of duty to clear his big loans with the banks and also his delay in the clearance of the dues to his King Fisher’s Airlines staff, all running into multi thousand crores! One more news from the Lok Sabha came out where too the ethics committee is to probe the very latest sting operation in West Bengal. The cash for favours deal was caught on camera by an unknown website narada.com. So, now we have two ethics committees in the two houses of Parliament enquiring into the ethics and morality of the distinguished MPs who over the years, at least lately have come under greater scrutiny and even severe criticism for doing things that are widely seen as inappropriate in keeping with their status as law makers for the common people. Now, there are many issues here and all can’t be touched or debated. 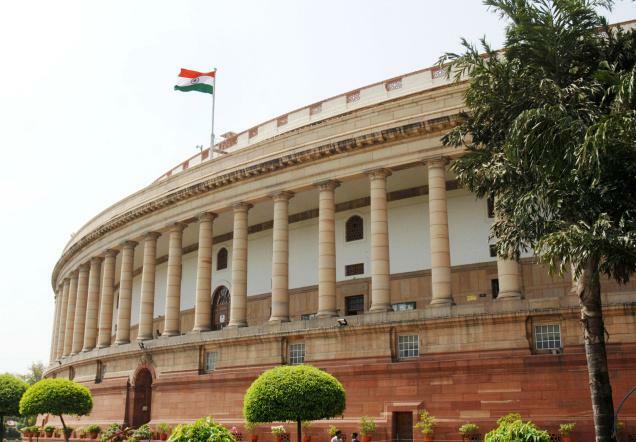 One, the MPs, especially those nominated to the Rajya Sabha are supposed to be experienced persons, with achievements in all walks of life and as such would be men and women of high calibre, high in moral scruples and would contribute to the quality of public life in the country. But it is unfortunate that we see a steady decline in morals and standards in public life. To cut the story short, we see now that Chief Ministers in the states face criminal charges, some went to jail also and still face serious cases in the Supreme and High Courts, also elsewhere. Now, the Committees are specifically asked to find out whether the RS member Mr. Mallya’s conduct as an MP is fine or does his conduct in the present crisis in which he finds himself for action by the Committee. You see there are other cases of other MPs that are also equally questionable. A Rajya Sabha MP, as we know must be usually a resident of a state from which he is elected. Mr. Kuldeep Nayar, a former MP filed a case in the Supreme Court on this question and he famously lost the case. The Apex court ruled that a Rajya Sabha member needn’t be usually a resident from the same state, he might come from anywhere. So, like this change, there are other changes also. The nomination process for the Rajya Sabha had so degenerated that we find today a party president can nominate anyone he or she desires and thus we see so many deteriorations. Take the tobacco chewing/smoking ads with pictorial covers. On one side or two sides. There are furious discussions. RS members who represent beedi, cigarette lobbies bring pressures. Thus, many RS members, not necessarily corporate interests dictate policies biased on narrow interests, not in the larger public interests. So, Mr. Mallya also sits on many Parliamentary panels including the civil aviation. Any conflict of interest! The ethics committee would find out. So too the conduct of the Lok Sabha members! You see the ethics committees are also instruments of political forces. Unless the committee goes into the entire process of caution and greater moral and ethical commitment on the part of party leaders there is very little chance that it can effect positive changes. Now, the Lok Sabha committee, we are told, would enquire into the TMC party leaders who are caught on camera by the narada.com website, a sting operation. All names, big, have come into the public domain. What the ethics committee can do? Nobody knows. Now, the critical point is that there is an urgent need to reform the political parties; party democracy is thrown out, the party president remains in office for years and years on! So, vested interests, coterie culture are the mark of political party machines! So also the party funding. Auditing of party funds. There is also the reform of the EC. So too the Lokpal, Lokayutha. In Karnataka, the Lokayuktha is replaced by a departmental anti-corruption bureau, a mockery of sorts. But there is no cause for desperation. Time and tide wait for none! So too politics! We have to wake up, why, stand up and welcome new ideas and new policies and fight for them! That is politics all about. And in a democracy like ours, public opinion is critical. As Kuldip Nayar writes (17, March, 2016, Deccan Herald) it is the power of the press, the media that undid the Emergency in 1975. So too even now, the power of the media could contribute to the ethics committees to do a great job!